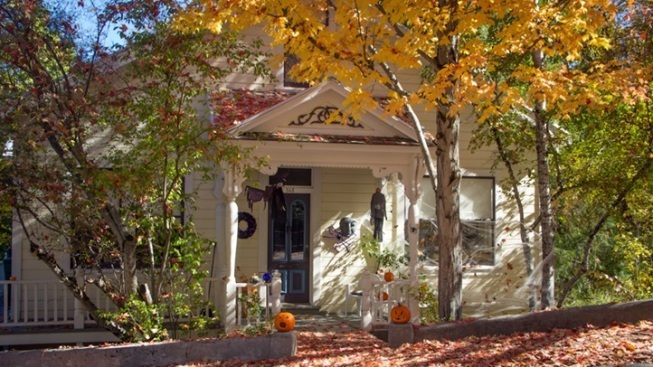 Trick-or-treating, spooky grown-up fun, and all of those fabulous fall leaves lend atmos to Oct.
Halloween doesn't get any Halloweenier, nor does autumn seem more autumnal, beyond Nevada City's borders. NEVADA CITY? Best peruse everything on the October list, from trick-or-treating on picturesque (and 1800s-esque) Broad Street to a Fright Night party on Saturday, Oct. 29 at the historic Miners Foundry (soul music, dancing, and convivial details await). There are ghost tours, too, to ponder, which make spectral sense, as Nevada City's past is full and rumored to be phantom-y. And as for the fall color? It's definitely revving up, so find your booklet of Nevada City trees and get strolling. We're not saying that by visiting Nevada City you'll be stepping into a human-sized candy corn globe, but we are saying you might feel that way. It's a tad magical, is the thing, and that quality should never be in short supply during the autumntime of the year.